This booklet will help you turn user research into actionable insights. I suggest printing it out (download the PDF). Start by writing your best idea on the right hand side. 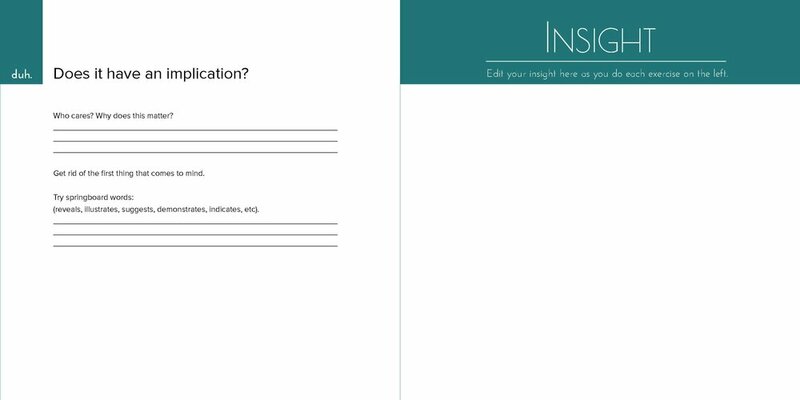 As you go through the exercises on the left side, edit your insight on the right. Before you know it, you'll transform your meh insight into a great insight, and your great insight into a disruptive insight. 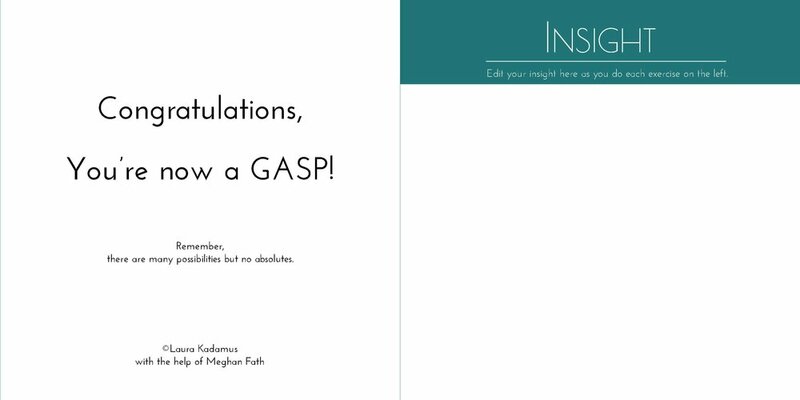 Gasp insights help us rethink situations.